The gambling world has to deal with an ugly truth. There is a very small percentage of the population that has a predisposition to compulsive gambling behaviors. In order to protect these players from themselves and to protect the integrity of the industry, there have to be certain controls in place for players to help themselves. This includes easy access to problem gambling resources, but it also includes other types of self-regulation in the industry like agreements between gambling establishments not to prey on these players. In the United Kingdom, a recent announcement made some pretty big waves. 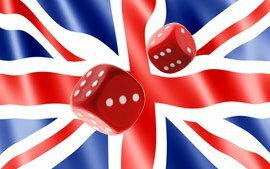 The Association of British Bookmakers came together to voluntarily agree to a number of important points that will definitely help people to regulate their own gambling habits. The two main controls that were added in this voluntary agreement were the ability to set spending and time limits on betting on fixed-odds terminals. This is seen as one of the biggest agreements of its kind in history because it's a classic example of the gambling industry regulating itself and helping to prevent compulsive gambling habits from taking over a person's life. Even though this agreement was put into place within the past month, some people think that it's not enough. Maria Miller is the United Kingdom Culture Secretary, and she's on a bit of a quest to get the industry regulated to an even higher level. The first thing she wants to do is make the terms of the voluntary agreement mentioned above something that is forced on the bookmakers if they want to be able to receive a license. On top of that, she wants to add even stronger controls like making customers add spending limits before they are allowed to place bets at all. There are basically two ways this can go. The first way is that the government establishes spending limits that everyone must adhere to, and that's not really ever going to work out. High stakes players will be punished with this type of maneuver, and low stakes players won't really have any strong protection against problem gambling. The second way is to allow players to establish their own spending limits. One problem that can come up with this is when a player's spending ability changes and what the protocols will be for changing those limits.